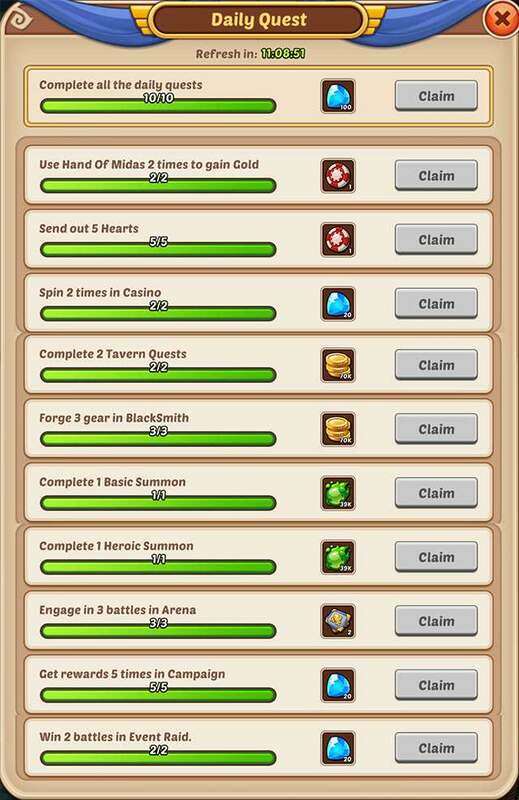 Daily Quests is a set of daily activities that you should perform every day in the game. For each of them you will receive a reward and when you complete all of them you will get 100 Crystals as reward. Even if you have to pay with the Crystals for completing some of the Daily Quest, the reward you will get for doing all of them should compensate it to you. Idle Heroes Strategy Game Guide.